What Makes Kansas a Yearly Stop for Wingshooting USA’s Scott Linden? 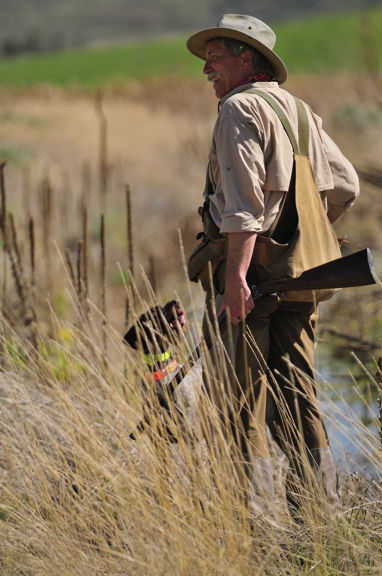 The beginning of each November brings pheasant hunters from all over the country to Kansas. Although our state is popular for many types of game, our upland bird hunting holds a special place and is a long-held tradition for many hunters. Scott Linden, host of Wingshooting USA, and frequent Kansas hunter, shares with us his thoughts about hunting pheasant in Kansas. 1. What do you enjoy most about hunting in Kansas? 2. What makes your experience here unique? In addition to the above, I have good friends in Kansas – made while hunting. Among them, Governor Brownback and Secretary of State Kobach, who are cliché busters – knowledgeable, salt-of-the-earth real people you’d enjoy meeting in a CRP field or at the statehouse. Prince or pauper, Kansans are people hunters can relate to: same values, speaking the same unique language, and probably as fond of your dogs as you are. 3. How frequently do you hunt in Kansas? I have visited Kansas at least once per season for twelve years, and when I’m lucky I get to come back more than once per season. 4. What places do you visit while you’re here hunting? The Flint Hills, Northwest Kansas (I especially like the Norton area), and Ravenwood Lodge near Topeka. Oh, and the Cabela’s store in Kansas City, KS. 5. If there was one thing you’d recommend or one piece of advice for a hunter coming to Kansas, what would it be? Try late season hunting because the weather will likely be better than many other places. To watch this episode in its entirety click here.